This summer has cooked up some incredible new eats here at Walt Disney World Resort, and in addition to those brilliantly tasty iridescent offerings I told you about last week, I’ve got some savory new items to share with you for July’s Best Bites. First off, did you know that tomorrow is National Hot Dog Day? 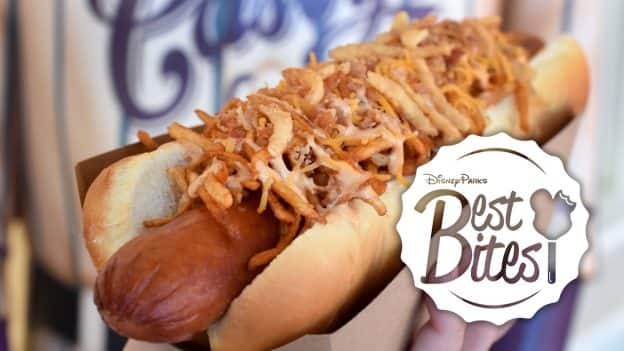 Over at Magic Kingdom Park, Casey’s Corner is known for serving up those popular Foot-Long All-Beef Hot Dogs as well the ever-so-tasty Corn Dog Nuggets, and they’ve recently upped their hot dog game with the Hot Diggity Dog of the Month specials. This month’s offering is Casey’s Classic All-Beef Hot Diggity Dog topped with hash browns, bacon bits, crispy onions, and cheddar cheese. BUT WAIT! There’s more! Tomorrow, July 18, for National Hot Dog Day, you can celebrate with a TWO FOOT LONG HOT DOG at Casey’s Corner! 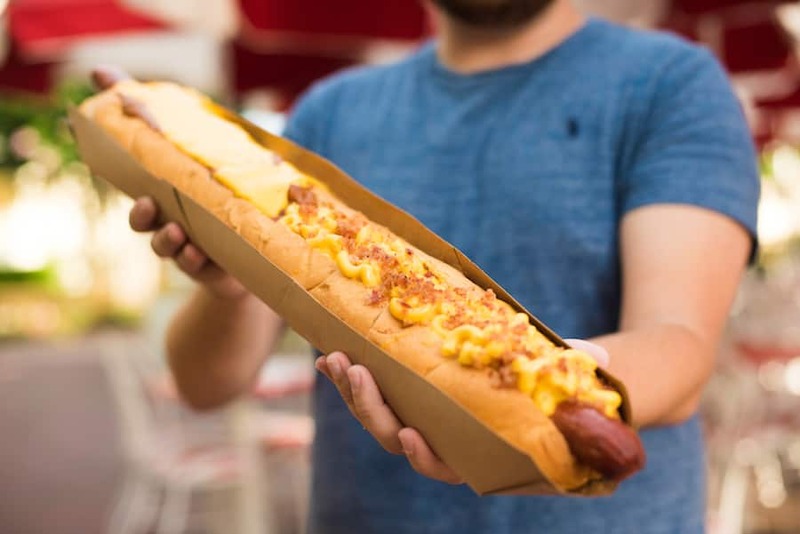 That’s right, order this puppy up and choose two of your favorite toppings (Casey’s Classic, Chili Cheese, or Macaroni & Cheese) to top each half of this Two Foot Dog. But remember – this is available for one day only, so grab a friend and come on out to Casey’s Corner on July 18 to celebrate and chow down! Of course, the Hot Diggity Dog of the Month isn’t the only “of the month” dish you can find at Magic Kingdom Park. Head on over to Pinocchio Village Haus in Fantasyland to try to Flatbread of the Month – a Cheeseburger Flatbread with ketchup, mustard, ground beef, bacon bits, lettuce, tomato, and pickles. Over at Epcot, Restaurant Marrakesh has added some unique Moroccan specialties to the menu, such as the Pan-Seared Lamb Loin Medallions and Hummus Rosemary Pancakes. 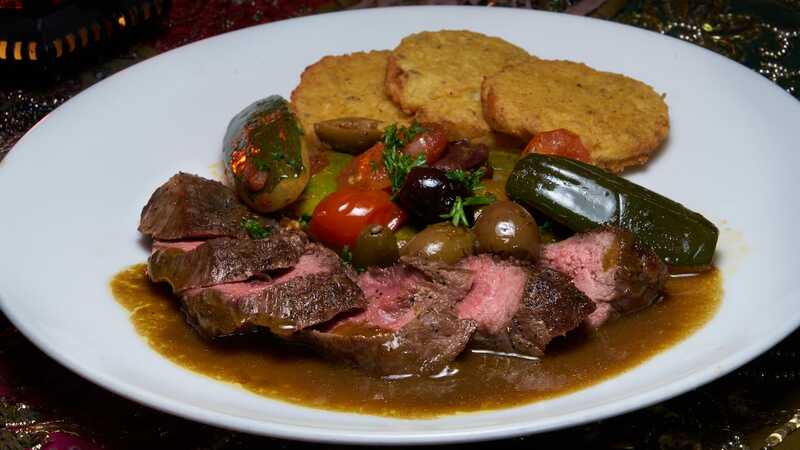 This dish comes with zucchini, olives, and toasted garlic au jus. 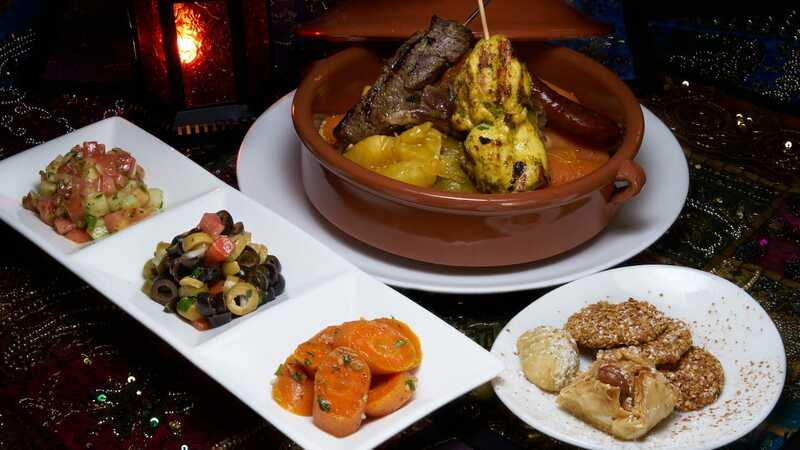 You can also try the Taste of Morocco – a multi-sensory journey through the flavors and soul of Morocco. This three-course meal for one comes with a taste of Moroccan salads for the first course. For the main event, enjoy Couscous Royal served in a Traditional Tagine. This dish comes with a beef tenderloin shish kebbab, chicken brochettes, merguez sausage, and braised lamb. It also comes with Couscous – a national dish of steamed seminola pasta served with seven vegetables. 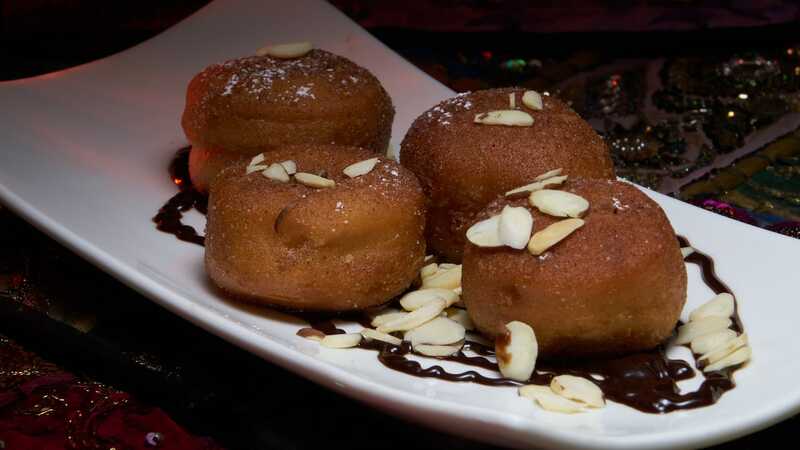 And for dessert, enjoy assorted Baklavas. 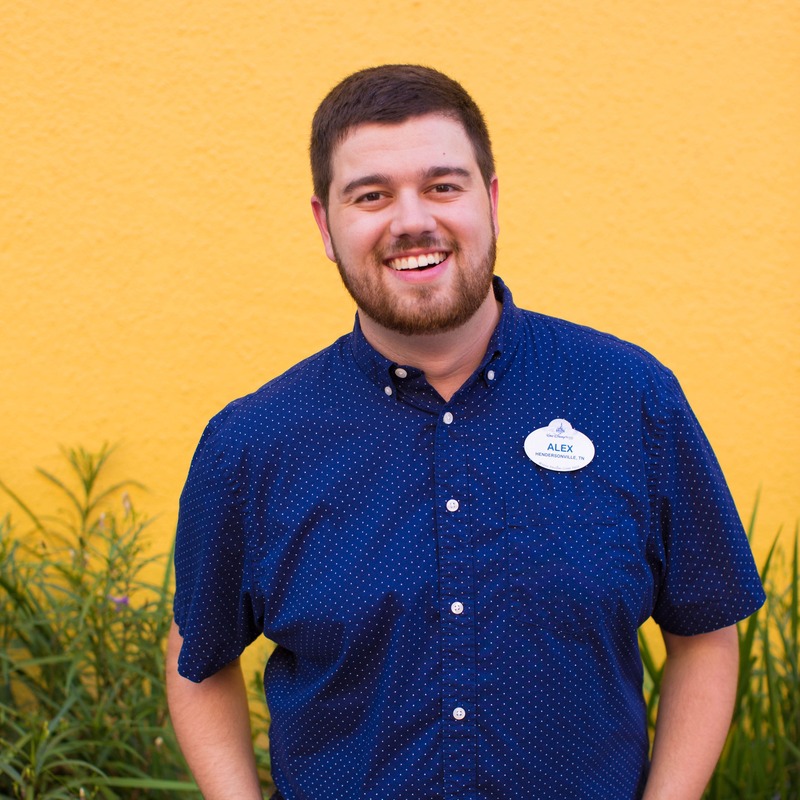 This one-person three course meal is $59.99 per person and counts at one TSR meal on the Disney Dining Plan plus $9.99 or one Deluxe Dining Plan entitlement. 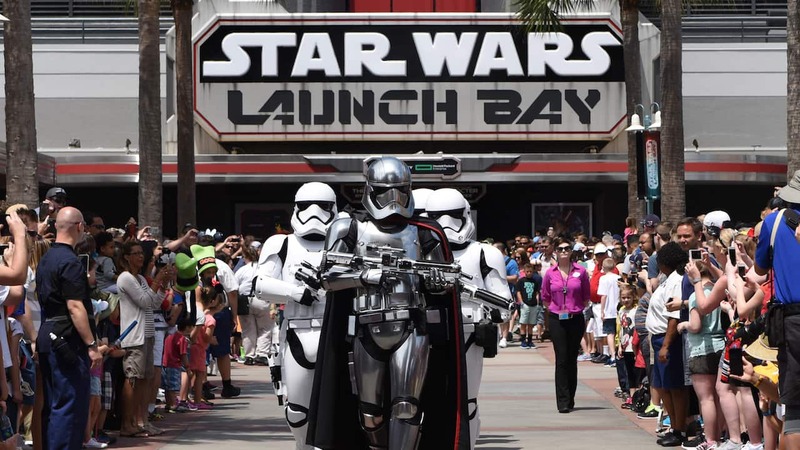 To make reservations, visit the Walt Disney World Resort website or call 407-WDW-DINE (407-939-3463). Moving on to Disney Springs, Wine Bar George as has added a few new items to the lunch menu. 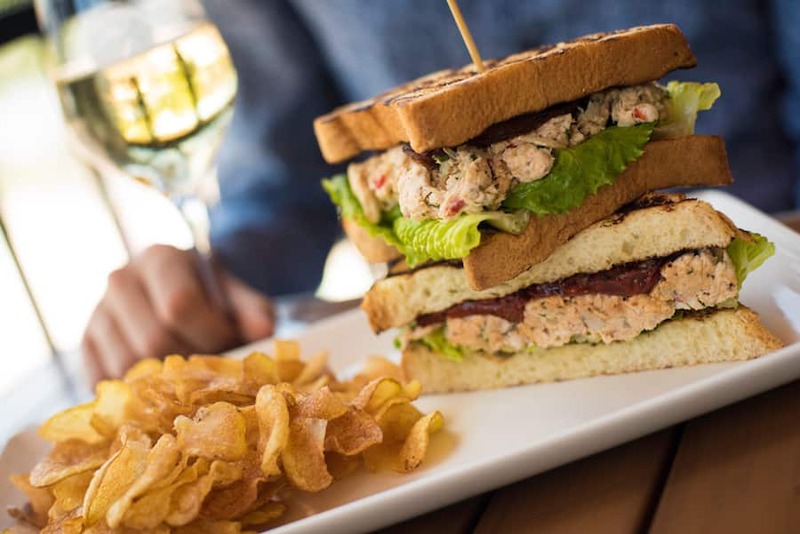 The first is a Chicken Salad Sandwich with roasted tomatoes and brioche and paired with Giocato, Pino Grigio. 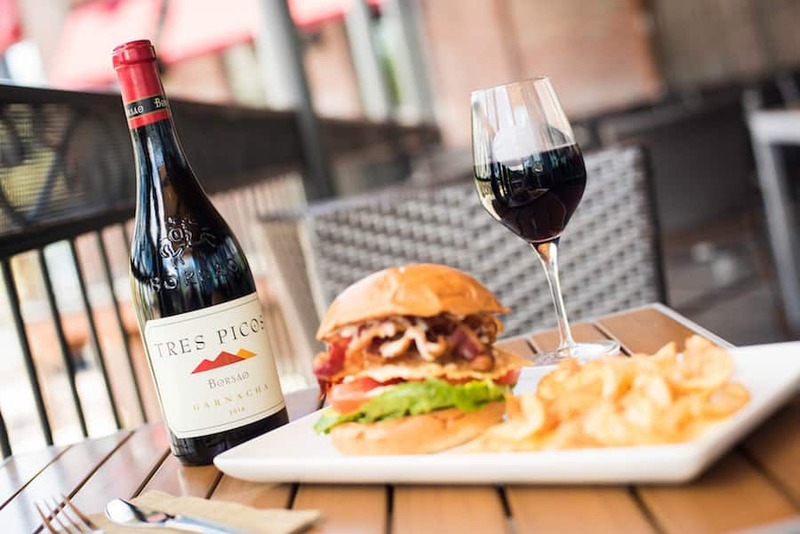 The second sandwich is a BLT + C with bacon, lettuce, tomato, brioche, and a four-cheese sauce paired with Bodegas Borsao, Garnacha. Both sandwiches are served with house-made chips and absolutely delicious! At Enzo’s Hideaway, a new Sunday Supper has kicked off with a hearty spread of cured meats, cheeses, pasta, entrees, and sweets. 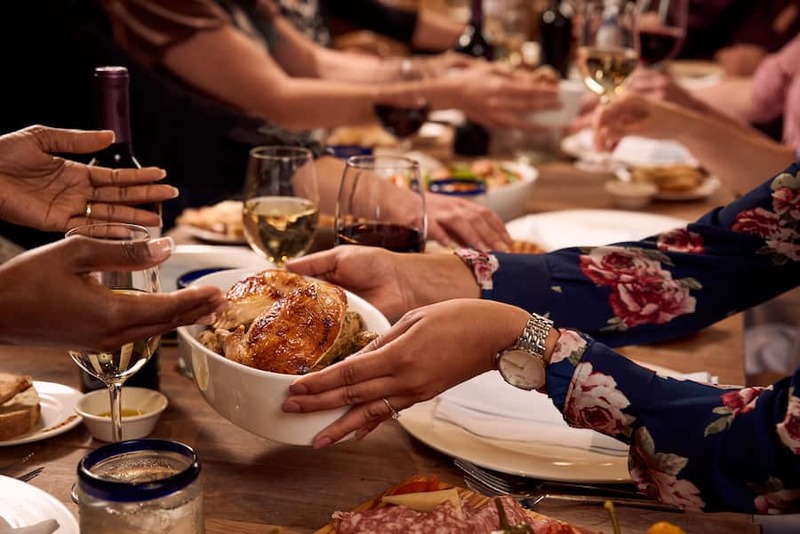 Get the gang together and enjoy this family-style dining experience with good food and good times. 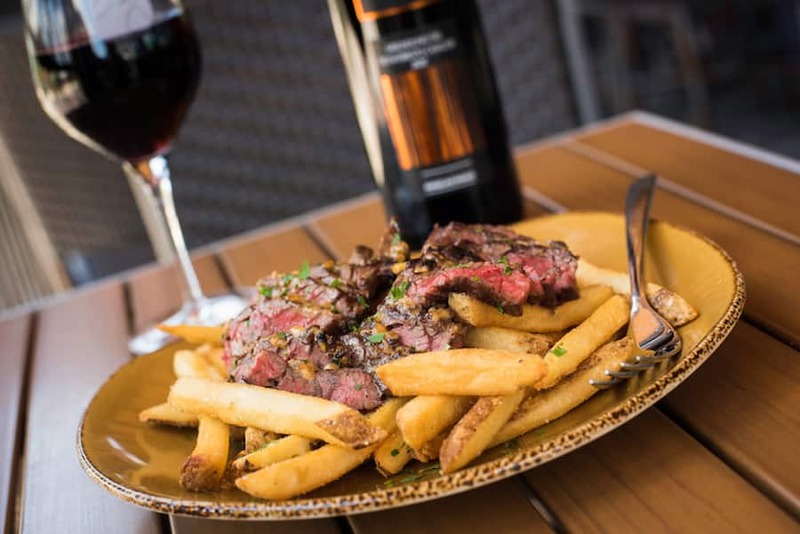 Each Sunday, this dinner menu will replace the regular menu, and you can even bring your own bottle of your favorite wine to toast with no additional corkage fee! This feast is $45 a person and $19 for children nine and under (not including tax or gratuity). To view the menu and make reservation, visit the Patina Group website. And that wraps up July’s Best Bites! Come on out and eat with us – and be on the lookout for my July Sweet Treats, coming later this week!